These highly sensitive instruments have been designed for the purpose of continuous gamma radiation measurement and the displaying of dose-rate values. They are capable of operating stand-alone or as a system component, in nuclear facilities, isotope laboratories, wasteyards and environment monitoring applications. The devices alert in case of signiﬁcant increase of the radiation level both in short or long periods of time, or if the radiation level exceeds any of the preset limits. The BNS-97 device is a radiation protection monitor; its BNS-97S version is available for measuring equivalent dose rate (Sv/h). 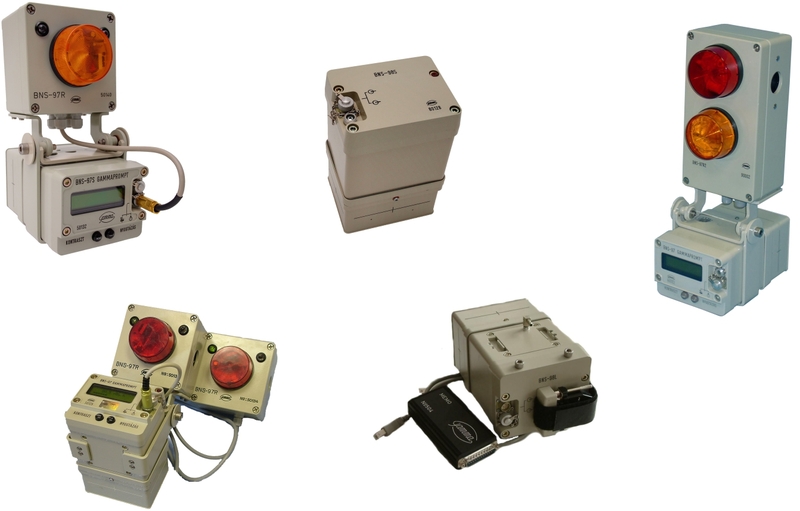 The BNS-98 is a remote dose-rate transmitter in a sealed housing, without manual control buttons, designed to operate even under extreme meteorological conditions. Its BNS-98S version is available for measuring equivalent dose rate (Sv/h).